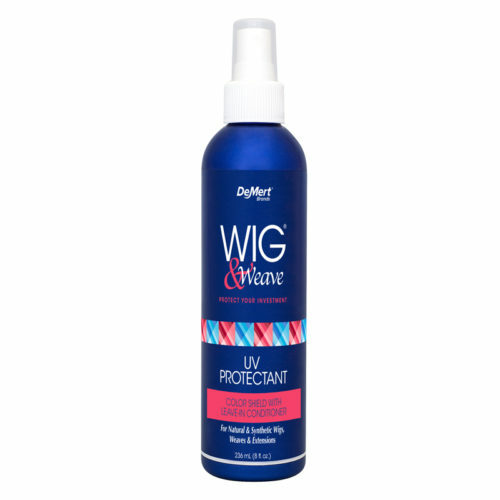 UV Protectant is professionally formulated to protect, condition and shield natural and synthetic hair color from fading and becoming dull. 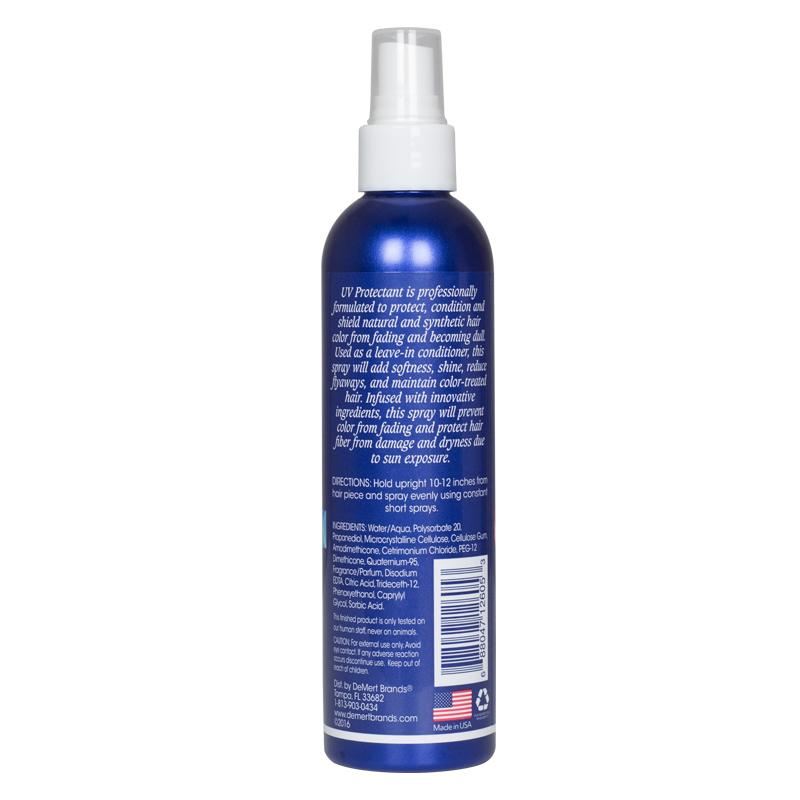 Used as a leave-in conditioner, this spray will add softness, shine, reduce flyaways, and maintain color-treated hair. Infused with innovative ingredients, this spray will prevent color from fading and protect hair fiber from damage and dryness due to sun exposure.